I’m trying to download a Google Chrome extension in my Windows 8 machine. 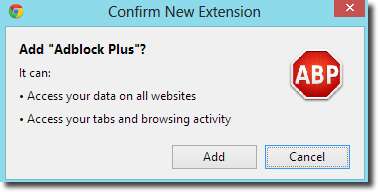 A simple Pop-up blocker like an AdBlock would be a breeze to install right? No. After I received an error “Download was not a CRX” I hit the “Reload” button looking at a simple relaunch is required. The extension gallery was reloaded but nothing happened, no extension was installed. I tried to do the same steps but got nowhere. Apparently, clearing the cache or manually adding the extension will not work. 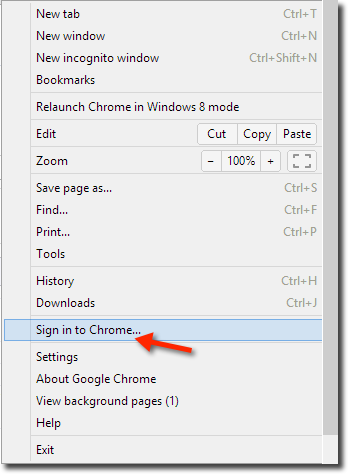 You need to sign “Sign-in to Chrome” to make it work. 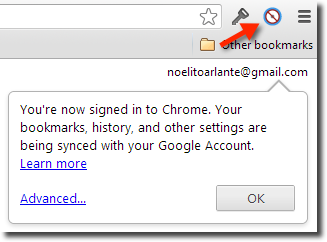 I tried signing-in into Chrome as suggested and it worked. It worked without even me doing the same steps from downloading the extension in the gallery to clicking the “Add to Chrome” button. Notice the active AdBlock icon below after signing in. Adding an extension in my Chrome from my Mac machine did not require the extra step. Perhaps an extra security for Windows? Add those extensions now as they may help you to be productive in your tasks. Chrome extensions fire away!